Sapporo is the largest city on the northern Japanese island of Hokkaido and is famous for its annual Sapporo Snow Festival which takes place every February. However, Sapporo is a great destination year round and worthy of a visit any time of the year. 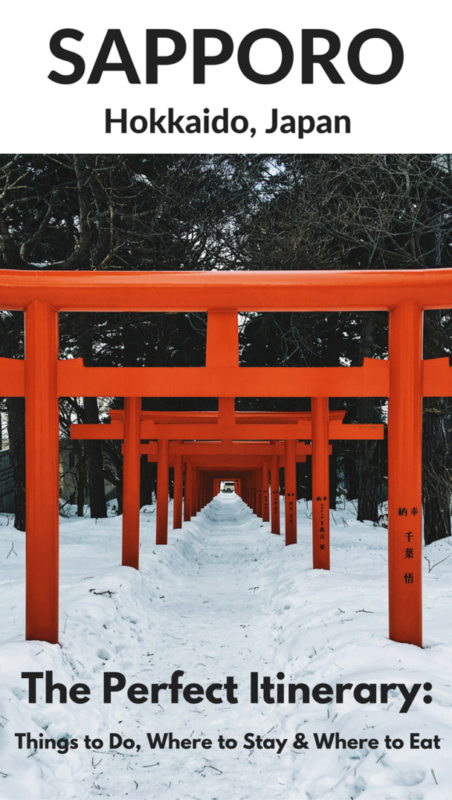 Sapporo makes a great base for exploring the rest of Hokkaido but make sure to spend some time exploring this underrated Japanese city. 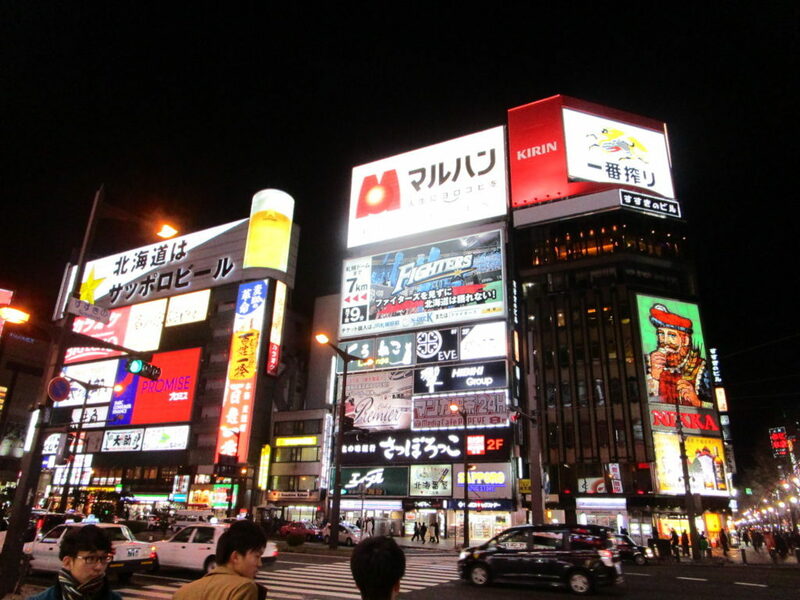 Essentially, one can cover the major sites in Sapporo in a day. For more comprehensive coverage, two days would be much better. Here is my guide to the best things to do in Sapporo if you have 2 days (if you only have a day in Sapporo you can fit most of these in one long busy day). Odori Park lies in the heart of Sapporo. It is a long stretch from Sapporo TV Tower to Sapporo City Archive Building. 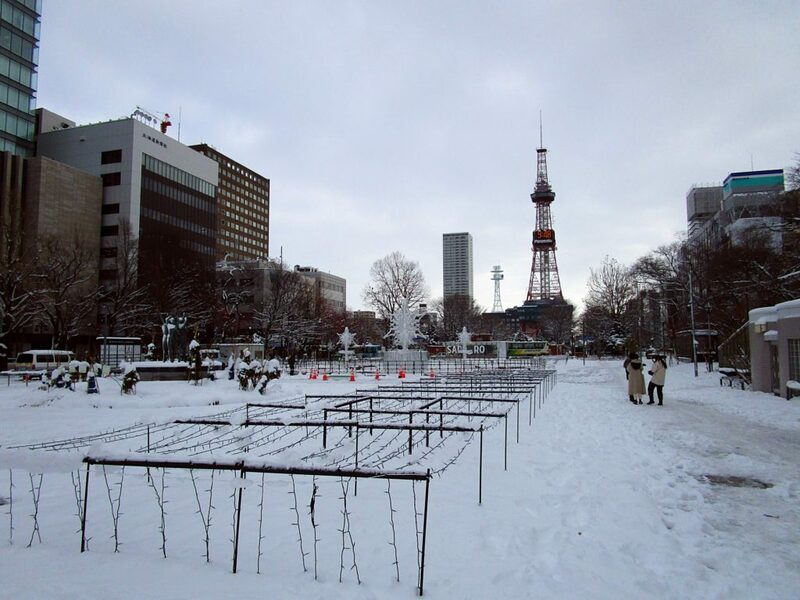 Several events are held here throughout the year and the noteworthy one is the Sapporo Snow Festival. On a clear day and at night, you can even see the Mt Okurayama Ski Jump Stadium as the park separates the city into two parts and there are absolutely no tall buildings in the entire stretch. For a better view, visit the TV Tower! To get to Odori Park, catch a metro to Odori Station or Nishi juitchome Station at the other end. To get a view of Sapporo, head to the observatory deck to soak in the view of Sapporo. You do not have to pay to head to the third floor of the TV tower, but to head up to the observation deck, the admission ticket costs 720 yen. For travellers who wish to visit the day and night view, purchase the daytime/evening ticket for an additional 380 yen so that you can visit the observatory twice! 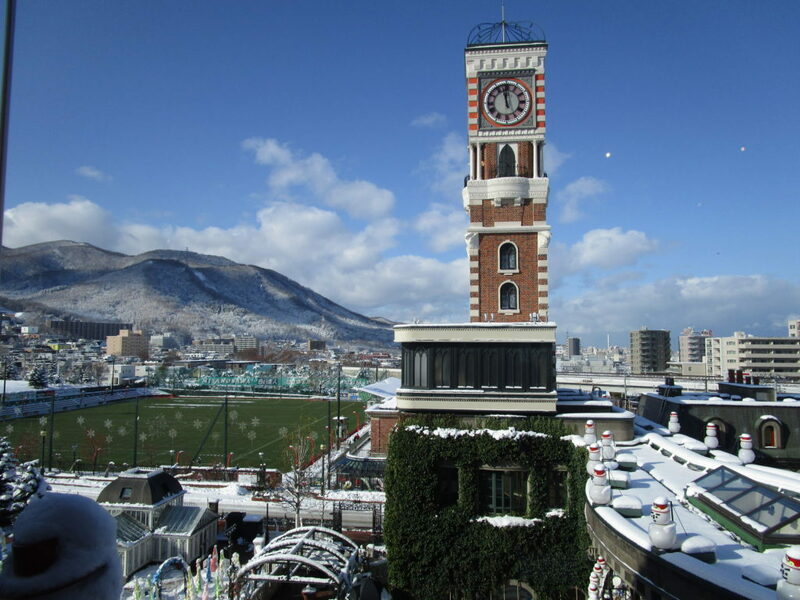 Located about a ten minute walk away, visit the Sapporo Clock Tower. 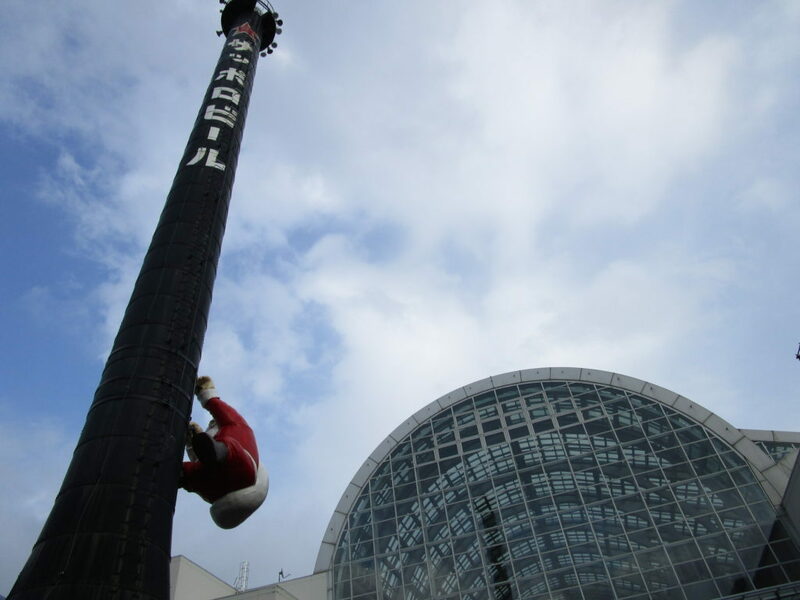 It is a historical landmark built in the 1980s which is now a symbol of Sapporo. 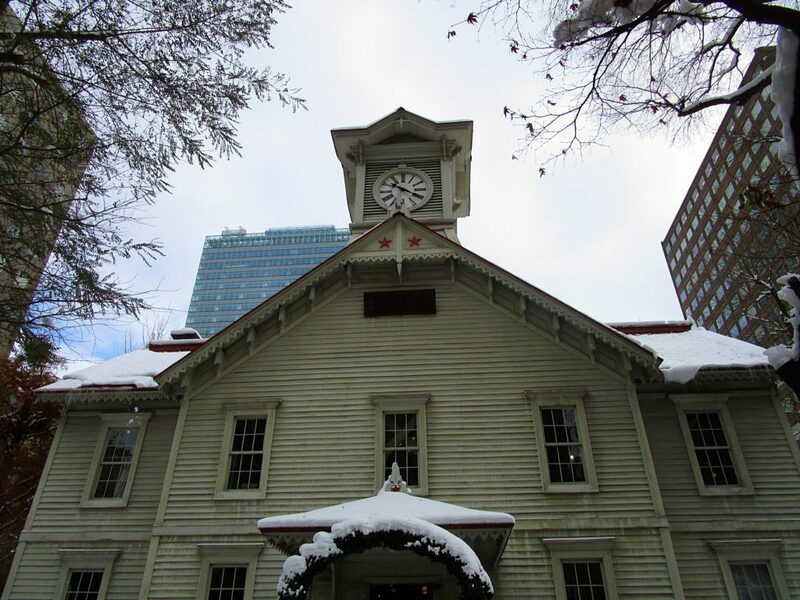 There is also a museum in the clock tower that provides information about the history of the clock tower and Sapporo. Continuing walking from the clock tower towards Sapporo Station and you’ll be able to see the Red Brick government office. It no longer is used as a govenrmnet office and now displays exhibits that tell people of the history of Hokkaido. The Ishiya Chocolate Factory is easy to get to. Take the subway Tozai Line to the end of the line, Miyanosawa station. From there, follow the signs throughout the station and it is a 10 minute walk to the factory. You will have to cut through Sapporo Lifelong Learning Research Center Chieria and the road towards the Park is extremely scenic. There is just so much to do at Shiroi Kobito Park. You can tour the factory, decorate your own cookies, enjoy Shiroi Koibito desserts and confectionary, and also purchase souvenirs for your friends and family. Besides the museum, there are also some photo spots in the Rose Garden that looks absolutely beautiful be it during winter, or the summer months. Also on the subway Tozai Line, you can get to Maruyama Park by getting off at the Maruyama-Koen station. It is then a short walk to the park. The Muruyama Park is a huge park and do be prepared to do a lot of walking! Inside the Muruyama Park, you can find the Hotaki and Hokkaido Shrine, Muruyama Zoo, and the Maruyama Stadium. Follow the signs (or people) within the park and you’ll be able to see a large Torii gate. 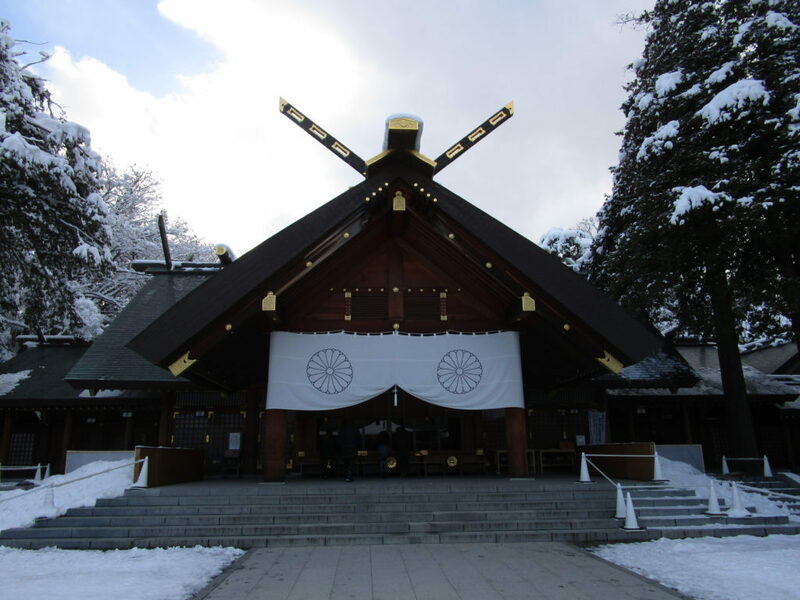 Shrines are erected for Shinto devotees that are characterised by the entrance torii gate. 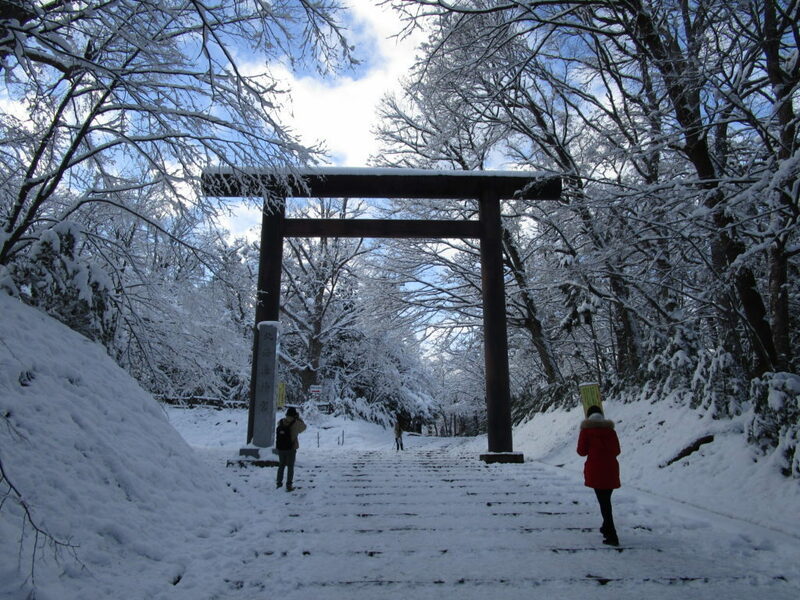 The torii gate marks the boundary between the secular world as well as the holy ground. Entering through the torii gate signifies that you have entered holy ground. Shinto devotees will have to bow at the side of the torii gate. The middle portion is set aside for the deity to pass. Travellers should try not to enter through the middle, and should enter via the side where the walkway can be found. Continue walking into the park and you’ll spot the Hotaki Shrine! The Hotaki Shrine is a smaller shrine and if you do not wish to visit it, continue along the pathway to head to the Hokkaido shrine! Outisde the Hokkaido shrine, you’ll see a temizuya water pavilion outside the shrine. The water here is NOT for consumption! Instead, water is used as a ritual to purify your minds and bodies before entering the sacred shrines. Despite the cold gloomy weather, the golden ornaments on the shrine still stands out. At the shrine, you can also purchase amulets for different purposes. Some shrines also allow you to check your fortunes. 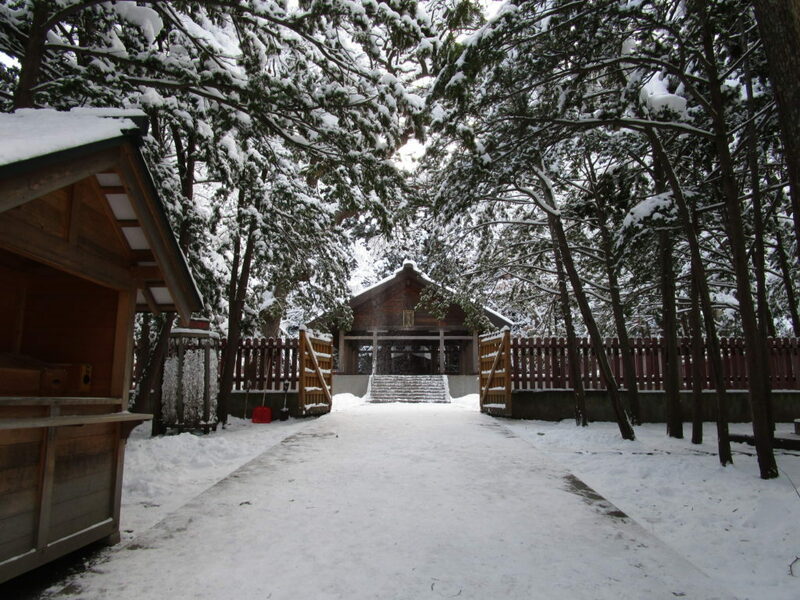 The Maruyama Zoo is located within Maruyama Park and it is the oldest zoo in Hokkaido. Yet, the zoo was very well-maintained and it provides an immensely immersive experience. You can actually watch the animals up close!! Even though many websites and sources say that the polar bear exhibit is the highlight – given that Maruyama Zoo has successfully raised 4 out of the 5 cubs in the nation – we felt that the best was the brown bear and lion! Imagine looking directly at these huge creatures walking and prancing just a glass away. The brown bear was so intrigued by visitors and kept banging on the glass which gave its visitors an extremely good scare. Admission to the zoo costs 600 yen per person. Walk: Take a 10-minute walk from the shrines in Maruyama Park. The fare is about 250 yen and the bus stop is located close to the west entrance of the zoo. Shuttle Bus (on weekends only): Take the shuttle bus from Maruyama-Koen subway station that is bound for Okurayama Ski Jump Stadium and alight at Dobutsuen-mae. Taxi: You can take a taxi from Maruyama-Koen station to the Maruyama zoo. The price is about 1200 yen. 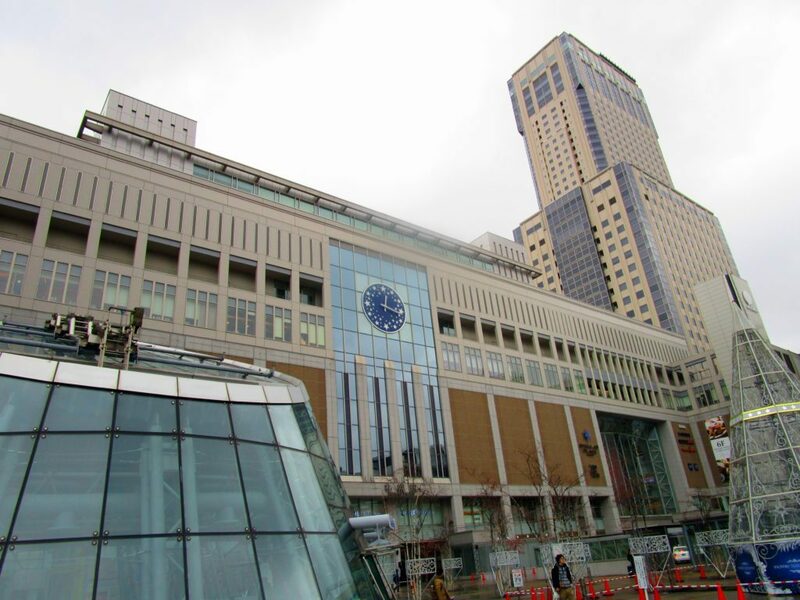 If you’ve seen Tokyo Station, you’ll understand why Sapporo Station is a landmark of its own. It houses the JR trains, a variety of other malls and departmental stores, and a whole lot of delicious restaurants. It is so massive that you’ll get lost in it! Sapporo Factory isn’t quite the Sapporo Beer Factory that you are imagining. Although it was once a beer factory, it has now become a shopping complex. The shopping complex is made up of several interconnected buildings. 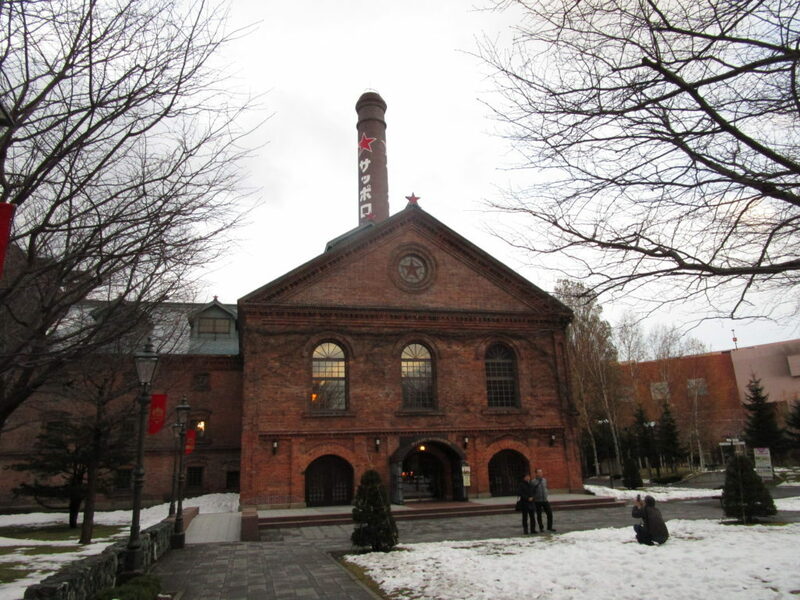 This red brick Akarenga building is one that reminds visitors of the original brewery. There is a small brewery that can be observed in this building, and you can also taste some beer at the Akarenga beer hall. This is the real beer museum! You do not have to pay to enter the beer museum. You can walk around and read about the history of Sapporo beer. For those who want a guide, pay 500 yen for the tour, with two complimentary glasses of beer. Be sure to try the Beer Sampler (600 yen). It comes with three glasses of the Black Label, Classic, and Kaitakushi Beer. They also offer a complimentary packet of nuts! Right next to the beer museum, there is a shopping mall that you can head to before you head to the next stop. Have your lunch here and visit the Uniqlo on your way out! Mt Moiwa provides a wonderful view of Sapporo and it is relatively easy to get to (unlike Mt Okurayama Ski Jump Stadium). The alternative is to head to Mt Okurayama Ski Jump Stadium but it is much trickier to get to! The way up to Mt Moiwa is also an experience in itself – you’ll have to take a ropeway, followed by a mini cablecar up. To get to Mt Moiwa, take the only streetcar from Susukino subway station to Rope Iriguchi streetcar stop. From there, take a shuttle bus to get to the ropeway station. Otherwise, make your way there by foot (5 minutes). To get to Susukino, take the Nanboku Line to Susukino station (two stops from Sapporo Station, and one stop from Odori Park Station). JR Tower Hotel Nikko Sapporo If you are looking for a luxury hotel, JR Tower Hotel Nikko Sapporo is one of the best hotels in Sapporo. It is conveniently connected to JR Sapporo Station which makes it very convenient for travel to/from the airport and day trips. There are also numberous shopping and dining options in the same complex of shops underneath the hotel. Click here to see the latest prices. Sapporo Grand Hotel Sapporo Grand Hotel is another great luxury hotel option with an excellent location only a 5-minute walk from JR Sapporo Station via a connecting tunnel. Amenities include a shopping arcade, a gym, a spa center, 7 dining options, free Wi-Fi and in room refrigerator. Click here to see the latest prices. Ibis Styles Sapporo is a good value hotel with free breakfast and wi-fi. It is close to the Nakajima Koen station and walking distance to Susukino and Odori Park. Click here to see the latest prices. Mercure Hotel Sapporo. Excellent location in the heart of the Susukino restaurant and entertainment district and walking distance to the famous Ramen Alley makes it walking distance to many food options. Click here to see the latest prices. Daiwa Roynet hotel Sapporo Susukino. This is a clean and modern hotel in an excellent location close to shopping malls and restaurants and walking distance to most places of interest such as Sapporo TV Tower, Odori Park, Sapporo Clock Tower. Click here to see the latest prices. Toyoko Inn Sapporo-eki Kita-guchi. Excellent value with free breakfast, wi-fi and in room refrigerator and walking distance from JR Sapporo station. Click here to see the latest prices. JR Inn Sapporo. New hotel with a convenient location close Sapporo station (through Daimaru mall) to the hotel. Click here to see the latest prices. Day trip visit to Shibazakura Takinoue Park and Tulip Park to see the beautiful flowers. Visit the harbor town of Otaru as well as a sake brewery with this day trip. Trip to Montbesu Port and icebreaker cruise here. Read More: When is the best time to visit Hokkaido? These are my top choices for the best things to do in Sapporo if you have only 2 days. Have you visited Sapporo? 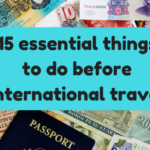 If so what would you recommend first time visitors see? Consumed by wanderlust, Michelle loves trying delicious food, reading, and sharing her experiences! If she is not out snapping photos of yummilicious food, you can find her planning for her next holiday. She writes at www.themunchingtraveller.com. 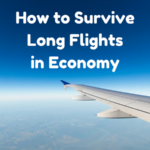 Also visiting Tokyo on your way to Sapporo? Check out our 2 day Tokyo itinerary with the best things to do and see according to a resident. I for some reason, never actually realized how much snow Japan gets! 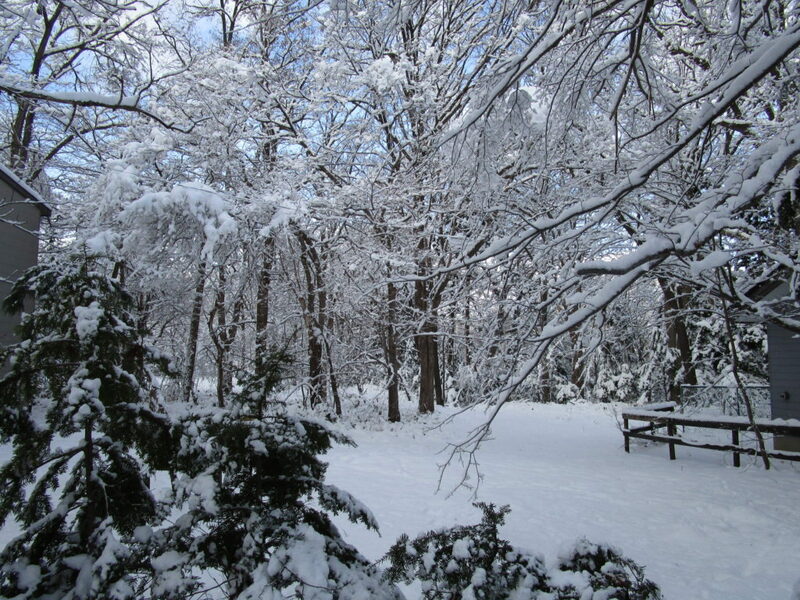 These photos are just gorgeous, i love snow photos! And what a great itinerary! I sadly, haven’t made it to Japan yet but it is on my bucket list! Everything looks so beautiful because of the snow. I’m also surprised that the temple doesn’t have snow on it. Makes it seem more magical.